Of the sightseeing we did in Jasper, Maligne Lake was my favourite stop. I think I may even prefer it to Lake Louise which I wasn’t expecting. It’s still a very touristy spot, but has a more relaxed atmosphere, and of course, the scenery is beautiful. The bonus of a cloud-filled sky made for pretty photo ops. I’ll be excited to upload the pics from my cameras when I get home, but here’s another iPhone pic for now. 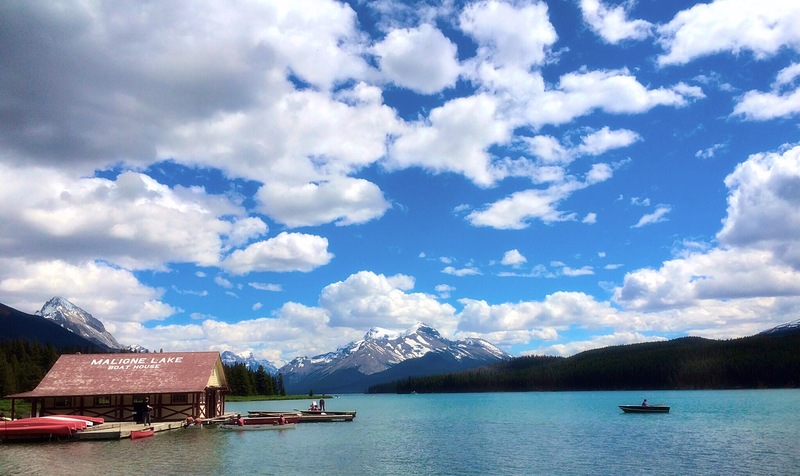 This entry was posted in Landscapes, Photography, Travel and tagged Canada's National Parks, famous lakes in Canada, iconic scenery in Canada, iphone pics, Jasper National Park, landscape photography, Maligne Lake, sightseeing in Jasper. Bookmark the permalink.